Description: Face recognition is an indispensable tool for police personal identification. The aim of this project is to develop an easy to use multi-biometric system for identification of suspect persons from photographs or video data using 3D facial images. 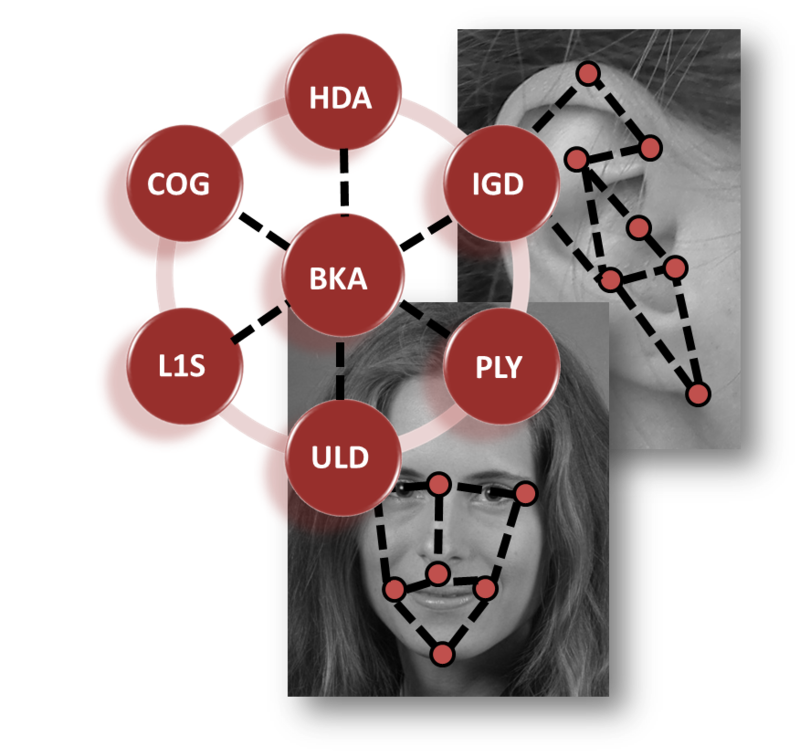 This new tool will assist the investigators in their work by making identification possible even from partial facial image captured with low image quality. Among the innovative solutions in this project is the multi-biometric approach, where different biometric technologies are combined. The multi-biometric approach involves a novel 3D head scanner, an innovative biometrics using partial 3D face recognition and 3D ear recognition. After successful tests and with the agreement of federal authorities, a 3D face database will replace the existing 2D photographic databases. To enable the comparison of non-frontal 2D face images with the existing database, an innovative partial 2D/3D approach is developed. As a new method of identification, 3D ear recognition is developed and integrated into the system. The fusion of those methods to create a robust identification system is another innovation of this project. The overall system and its possible applications are designed in cooperation with the ULD Schleswig Holstein and thus are in line with data protection regulations. The right of informational self-determination, problems of possible abuse, the use of biometrics for people with restricted characteristics, and possible health risks are analyzed.